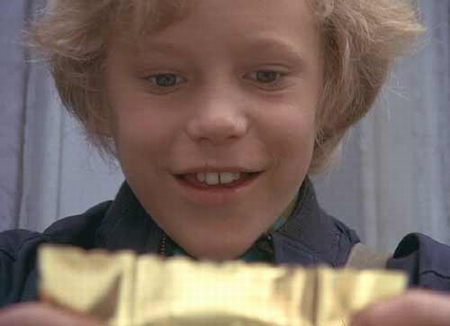 Do you remember the scene in Charlie and the Chocolate Factory when Charlie learns that the supposed last golden ticket to be found was actually a fake? Suddenly the nondescript bar of chocolate in his hands shines with all the possibility of a once-in-a-lifetime trip to Willy Wonka’s factory. Slowly, carefully, only just managing to restrain himself from getting too excited, he peels open the wrapper … and there it is! The golden ticket is his! I have been preparing for this trip in small ways for what feels like ages now – sorting out routes, researching countries, looking up packing lists, figuring out what equipment I need, etc. – but buying that ticket is the biggest commitment I have made to The Big Trip so far. I am absolutely thrilled to finally begin to see the plan taking shape and to have something concrete to show for all the sacrifices I have been making over the past year. This is the second time I have bought a one-way ticket (well, aside from one back from Lyon at the end of a road trip) and there is something particularly thrilling about knowing that you are heading out into the unknown without really knowing when you’ll be coming back. Allow me to be the first to say… SQUEEEEEEEEEEEEEEE!